What mom doesn't love receiving flowers and handmade gifts from her kids? Combine the two and get a little crafty with this handmade, mom-friendly stationery. Remove glass and any backing materials from two upcycled frames of the same size. 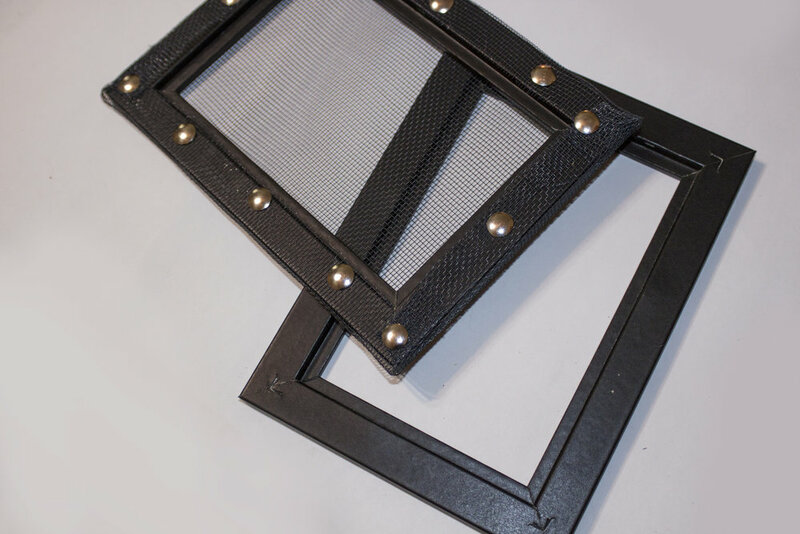 Cover the flat side of one frame with the window screen and tack or staple in place. This is your mould. The second frame is your deckle. 1. Make your pulp by filling ⅓ of the blender with shredded paper. Add enough water to cover the paper and blend until well combined. Stir in the flower petals. 2. Set up your work area. Place a towel on the table. Then place the storage tub with water on top of the towel. We used about 3 to 4 inches of water. Make sure it's enough water to submerge the mould and deckle. 3. Pour the pulp into the water and stir with your hand. 4. Position the deckle (frame with no screen) on top of the mould (frame with screen)—matching all edges. Hold the two frames together and at a slight angle dip them into the pulp scooping up enough to cover the screen—this took some practice. 5. Slowly lift the frames straight up out of the tub and allow the water to drain off. 6. Remove the deckle (no screen). 7. Place the edge of the mould on the glass to transfer. Carefully lay the mould paper-side-down onto the glass. 8. Blot the back of the paper through the screen with towels. 9. Lift the mould off the paper. Make sure the paper has fully transferred. Set aside to dry.